Please use my contact form to request installation quotes or call me at 480-935-2848. Myself, or my partner, are able to work the entire state of Arizona and all our work is guaranteed. Visit the AGP Help Center to find photos of my work and a lot of pool advice for first time owners. There are many different ways we can work together. The Ask The Pool Pro section of this site provides a wealth of info and a place to ask me specific questions. AGP Support allows you to hire me for one on one online support. And Arizona residents can have me in their own back yard. We do liner installations, pool installations, take downs, move pools and most anything else above ground pool related. We can do the entire job, or at times I can work with you through a difficult spot. All of our work is guaranteed, meaning if you have a problem it gets taken care of. 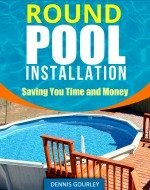 These are our standard pool installation prices. These are our standard liner installation prices. We start by removing all vegetation. We do not haul it away but pile it where ever is convenient for you. 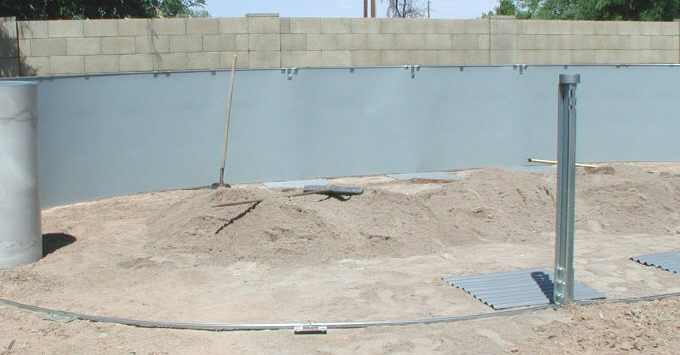 Our installations include leveling the ground up to 4", beyond that a leveling charge could apply. We treat the ground to prevent weeds or grass from growing and install the pool. When we are finished the water is filling and the filter system hooked up to the pool. The filters come equipped to plug into a 110 outlet, what you plug it into is up to you, we do not run electrical lines. Are you looking to buy or sell a used above ground pool? Check here for the latest pools for sale or list yours today.